In response to requests from our readers, the Health At Every Size Blog is honored to reprint Barbara Altman Bruno’s history of the HAES movement. Most of the installments of this history have been previously published in ASDAH member newsletters. This post is Part Two in a series. The 1970s saw the building of feminism, iconoclasm, introspection, a peace movement regarding Vietnam, and mounting pressure on women to be thinner. The social construction of weight concerns was examined in different ways by New York and London- based psychotherapist Susie Orbach, a group of women in Los Angeles, and a medical anthropologist in the San Francisco Bay area. For Orbach, white, middle-class women’s eating problems were the result of their subordinate status in society. These “compulsive eaters” would get caught up in a repeated diet/binge cycle, which Orbach attributed to their ambivalence. She explored these ideas in Fat Is a Feminist Issue. She and Carol Munter recommended stopping dieting and listening to one’s own hunger/fullness cues, as well learning to use one’s own voice (rather than the body) to express difficult feelings and ideas. Aldebaran subsequently published two articles about psychology, health, and fatness in radical therapy journals. The Fat Underground formed and included, among others, Lynn Mabel-Lois (subsequently called Lynn McAfee). They published a brochure, “Before You Go On a Diet, Read This.” They were validated by sociologist Natalie Allon and by psychologists Susan and O. Wayne Wooley, who published research incorporating fat feminist writings in professional journals. Another academic, medical anthropologist Margaret MacKenzie, noted that in societies where larger women were accepted, such as Samoa, their blood pressure was normal. The decade of the 1980s was characterized in part by Reagonomics and a “greed is good” business ethos; the burgeoning size of Americans along with a greater societal focus on physical fitness; women increasingly entering and competing in the workforce; the emergence of AIDS; the explosive rise of personal computing, and the end of the Berlin Wall and the Cold War. Questions were being raised about dieting. Bob Schwartz’s 1982 book, Diets Don’t Work, was based on his program of the same name. Schwartz noticed how people ate who were not worried about food and weight, and taught what would be later called intuitive eating. Molly Groger wrote a book about her training program, Eating Awareness Training, which also helped people return to intuitive eating. Both Groger and Schwartz however, suggested that by following intuitive eating, people’s extra weight would melt off over time. 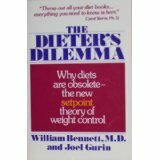 Two other books raised major concerns about the ineffectiveness and harmfulness of weight-loss diets: The Dieter’s Dilemma by William Bennett, MD, and Joel Gurin, and Breaking the Diet Habit, by Janet Polivy and C. Peter Herman. Bennett and Gurin posited that nearly all people had setpoints, which regulated each person’s body fat and weight. Dieting resulted in lowered metabolic rates and rebound weight gain, and was all but useless. Polivy and Herman discussed the “natural weight” range, which varied by individuals in a species, and recommended intuitive eating (not yet named as such) and accepting one’s natural size, as an alternative to struggling with dieting. They also reframed dieting as “restrained eating,” wherein one ignored body signals and instead responded to external cues, such as the time of day or the amount of food on a plate. Another of their concepts was the “what-the-hell effect,” in which restrained eaters overate in response to having come off their diets. Feminist writers and thinkers like Kim Chernin (The Obsession: Reflections on the Tyranny of Slenderness) noted that as women increasingly competed with men in the work force, the societal imperative to be thin weighed ever more heavily on them, and there was a dramatic increase in eating disorders. In 1984, Alice Ansfield began publishing Radiance: The Magazine for Large Women. Published quarterly for 16 years, “its purpose was to support women ‘all sizes of large’ in living proud, full, active lives, at whatever weight, with self-love and self-respect” (quoted from the website). In 1985, the National Institutes of Health’s Consensus Development Conference on the Health Implications of Obesity, ignoring much of the evidence presented, declared, “The evidence is now overwhelming that obesity, defined as excessive storage of energy in the form of fat, has adverse effects on health and longevity,” and declared obesity a disease. In the Midwest, nutritionist Ellyn Satter was working with parents and children, clarifying that children were responsible for what and whether they ate, while parents were responsible for what food they provided and when it was provided. 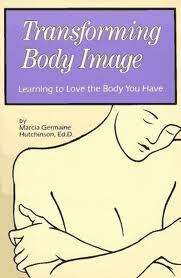 In the field of psychotherapy, New England psychologist Marcia Germaine Hutchinson recommended “learning to love the body you have” in her 1985 book, Transforming Body Image. Psychotherapists Jane Hirschmann and Carol Munter viewed “compulsive overeating” as a soothing disorder, healed by legalizing all foods and tuning in to physical hunger, in their program and 1988 book, Overcoming Overeating. 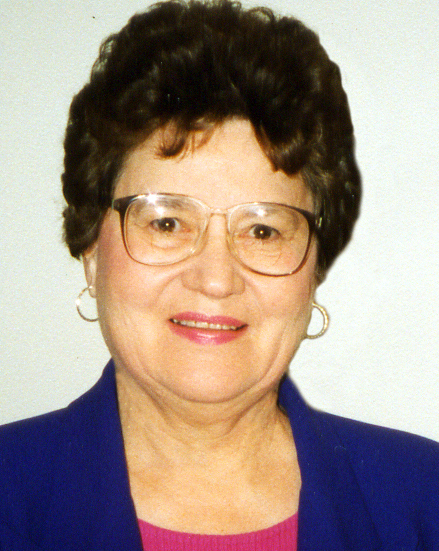 Oregon psychologist Nancy Barron founded and ran Ample Opportunity, a size acceptance organization for women which promoted active living, and published Ample Information. Their motto was, “A good life is the best revenge.” Psychologists Esther Rothblum and Laura Brown published Overcoming Fear of Fat, originally published as Women & Therapy in 1989, and including a chapter by Barron. The publication targeted fat oppression, rather than fatness, as the problem. Budding psychologist Deb Burgard started a fitness program for larger women, called “We Dance,” in the early 1980s. Soon after, she met Pat Lyons, an RN and health educator who was researching fitness for larger women, and would go on to run the “Great Shape” fitness program for Kaiser Permanente. 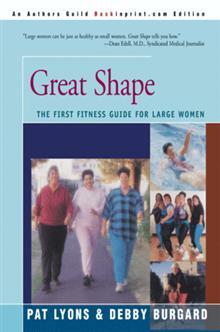 Lyons and Burgard published Great Shape: The First Fitness Guide for Large Women in 1988. © Copyright 2009, Barbara Altman Bruno, Ph.D.
(1) Shadow on a Tightrope. San Francisco: Spinsters/Aunt Lute Book Company, 1983. Atrens, D.M. (1988). Don’t Diet. New York: William Morrow and Company. Bennett, W. and Gurin, J. (1982). The Dieter’s Dilemma. New York: Basic Books, Inc.
Brown, L.S. & Rothblum, E.D. (1989). Overcoming Fear of Fat. Binghamton, NY: Harrington Park Press. Ernsberger, P. & Haskew, P. (1987). Rethinking Obesity: An Alternative View of its Health Implications. The Journal of Obesity and Weight Regulation, 6. Groger, M. (1983). Eating Awareness Training. New York: Summit Books. Hirschmann, J.R. & Munter, C.H. (1988). Overcoming Overeating. Reading, MA: Addison Wesley. Hutchinson, M.G. (1985). Transforming Body Image. Freedom, CA: The Crossing Press. Lyons, P. & Burgard, D. (1990). Great Shape: The First Fitness Guide for Large Women. Palo Alto: Bull Publishing. Polivy, J. & Herman, C.P. (1983). Breaking the Diet Habit. New York: Basic Books, Inc.
Schwartz, B. (1982). Diets Don’t Work! Houston: Breakthru Publishing.